Let The Acclaimed Director & Actor Jackson Phippin Help YOU To Make Great Presentations To Any Audience!! REACH YOUR AUDIENCE, HOLD YOUR AUDIENCE, AND WIN YOUR AUDIENCE! ...You can have the best product, the best business plan or the best kept secret in the world, but your message can be lost if the presentation doesn't convey that effectively. ...The biggest hurdle between you and the success which your company needs can appear at the presentation stage. Communicating with any group of people is an art which requires you to be on top of your game, to know your facts inside out, and to be primed for any question - but it is a highly pressured situation, and one in which the coaching of PRESENTATION SKILLS can help you take centre stage and make all the difference! Master your public speaking and be at ease for all your public relations events, and gain the self-assured approach required to control press conference speaking. 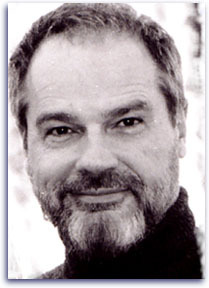 ...Jackson Phippin has been working with some of the country's finest actors for 30 years. These actors have appeared in tv, film and some of the most respected IORT theatres in the country. ...Jackson has been a freelance theatre director for 30 years. He served as an Associate Artistic Director in Baltimore, and ran a professional training program for actors and directors in Washington DC - and has coached professional actors and students for over 20 years. You're in safe hands! Let's Talk! Call us to arrange a customised meeting to discuss how we can help you take centre stage and reach your audience! Click below to download Jackson's full credentials, and see exactly why he can raise your game and have you delivering great presentations to ANY audience!